Actor facing backlash in the face of assault allegations. Entertainment WHEN Kevin Spacey came out as gay amid claims he sexually harassed a 14-year-old boy, he weaponised homophobes, writes Jane Fynes-Clinton. 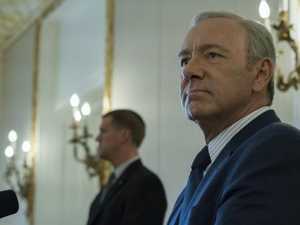 TV AMID the allegations that Kevin Spacey sexually assaulted an underage teen, his hit show has reportedly been wrapped up by Netflix. Celebrity ROSE McGowan has ripped into actor Kevin Spacey after claims the House of Cards star groped a 14-year-old boy.